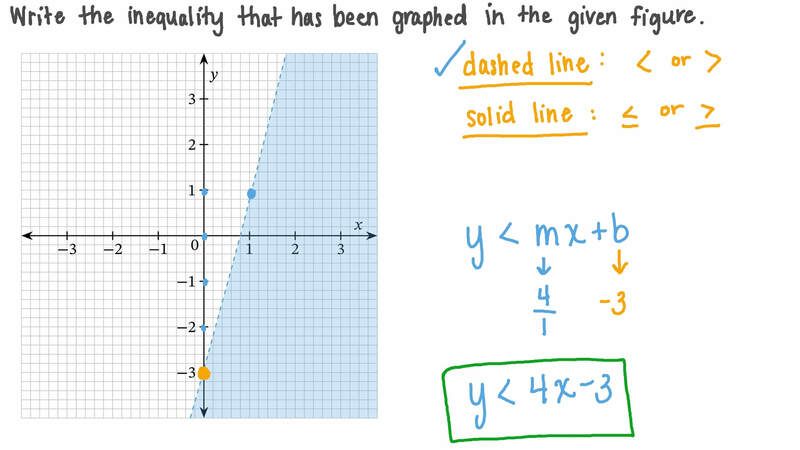 In this lesson, we will learn how to represent inequalities on a graph. Which of the following figures is the correct graph of 𝑦 = 𝑥 ? 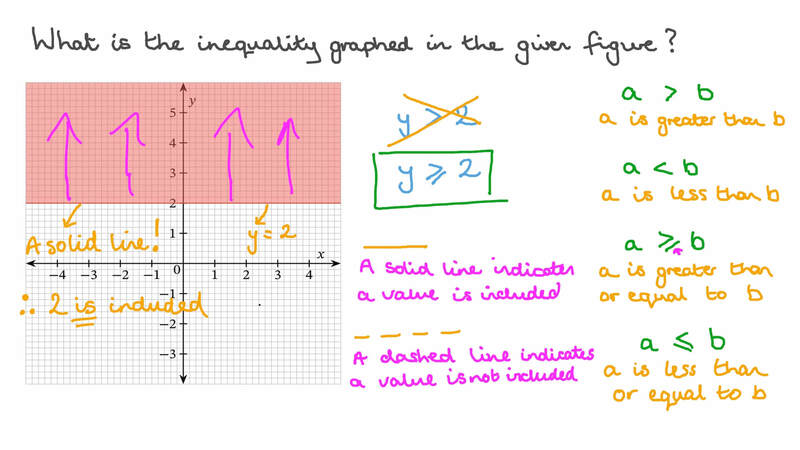 Which inequality has been graphed in the given figure? 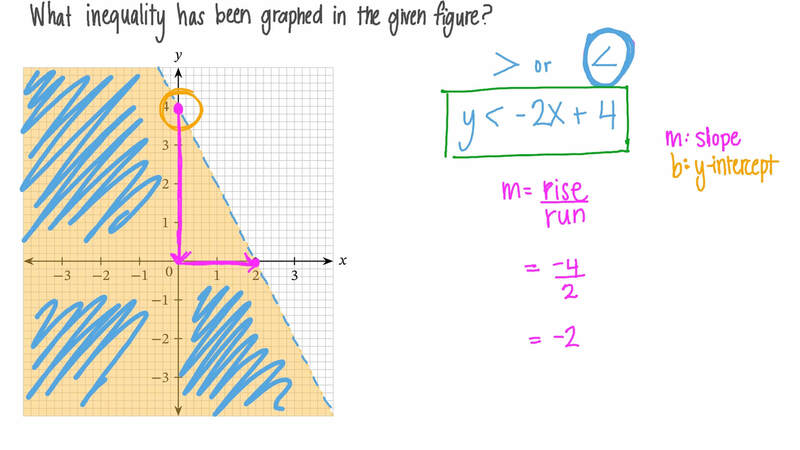 What is the inequality graphed in the given figure? Which of the following figures is the correct graph of 𝑦 > 𝑥 ? Which of the following figures is the correct graph of 𝑦 ≥ 𝑥 ? Which of the following figures is the correct graph of 𝑦 < 𝑥 ? Which of the following figures is the correct graph of 𝑦 ≤ 𝑥 ?